Many people mistakenly believe that if they just had more money, all their financial anxiety would disappear and they could finally be happy. In some cases, earning more is the solution to stop money stress and improve your financial health. But what’s surprising is that you can feel stress no matter how much you make. While money stress may never completely disappear, reducing it as much as possible can improve your relationships, health and general sense of well-being. 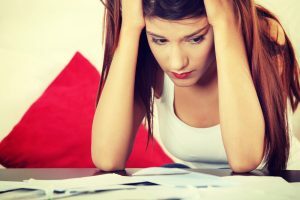 Laura covers five tips to stop money stress, or at least stress less, so you have a more peaceful life. Click here to learn more. Ready to radically improve your finances? Laura’s best-selling online class helps you dominate your debt and learn at your own pace with lifetime access. Her plan gets you out of debt faster, even if you don’t have extra money!